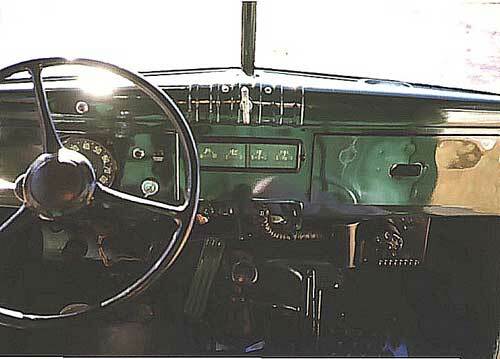 Example above of early dash board used on 1946 - 1950 Power Wagons. 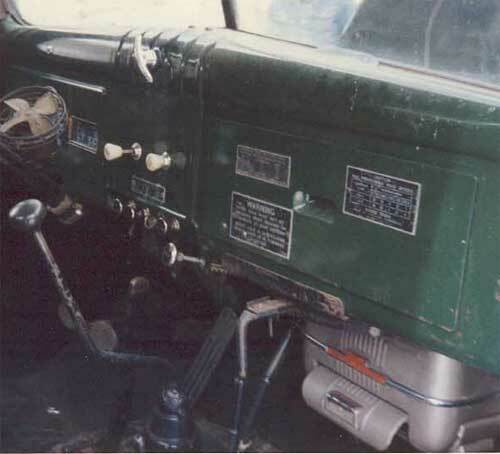 Example above of early WDX dash with factory installed heater controls in center for model #36 heater. Clint Dixon photo. 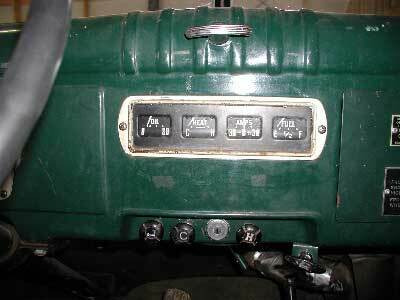 Example above of later dash with gauges in center of dash and ignition key below gauges. 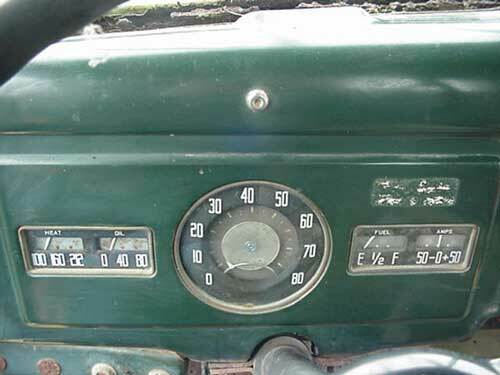 Example above of 1968 WM300 dash. Ignition key has been moved to left of gauges. Emergency flasher knob and indicator light is above the key. Brake sentinel light is above the speedometer. The 1968 model year came standard with a dash pad that spanned from the windshield regulator to the passenger door. The dash pad has a hinged cover that goes over the windshield regulator handle and hinges up to reveal the handle.